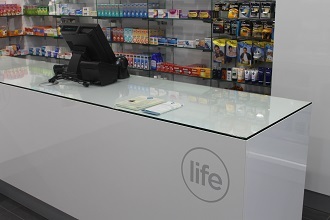 For the independent pharmacist, life is the consumer brand. 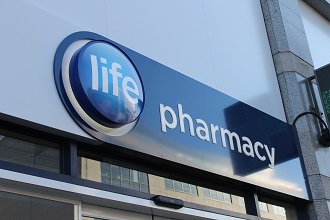 In April 2014 Uniphar “reset the clock” with life pharmacy, changing the business model, to provide the most valuable pharmacy branding group available to independent community pharmacy today. For a start the symbol group is now 50% owned equally by the members & Uniphar, including all of the intellectual property and knowledge gained over the last 6 years. 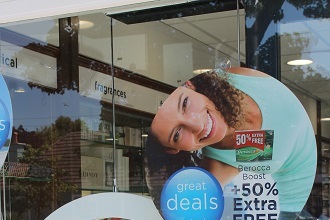 There is a new board of management, where the pharmacist members influence and dictate the direction of the brand development – it is their brand now. The costs of membership are minimal, with 100% of the paid membership fees being spent on supplying services to the members. Uniphar are supplying the members with the central management resources, for the newly enlarged symbol group, provided marketing, operations and central purchasing, all that is asked in return is that the member’s wholesale business is placed via Uniphar. Uniphar is utilising its significant investment in IT to deliver symbol group members central IT systems and business intelligence systems, linked to each pharmacy’s system, to provide cutting edge reporting and management information to all the members. 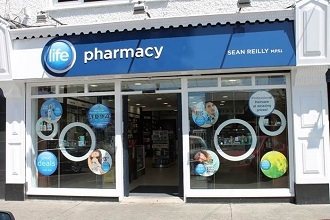 This will allow members to understand where they can improve profitability, as well as benchmark themselves against other symbol group member’s and other pharmacy groups. Typical savings in the first full year to an average pharmacy which acts on the recommendations provided, will add five figure sum to the bottom line! Not bad when you remember that Uniphar is providing these systems at no cost, to the members of life pharmacy.